I bought this 2016 Corvette and have just begun to drive it. It has so many buttons I am still afraid of touching the wrong one. The oil is new and is half way down the hash marked area. It has the Hennessy supercharger package and goes like a satisfied ape. It only has 6800 miles on it and the oil pressure, when warm, is way low compared to other cars I have owned. Never getting over 40 psi and mostly hovering about 30 psi. It has the LT 1 with a dry sump, which I am unfamiliar with, but understand the basics. Join in and write your own page! It's easy to do. How? 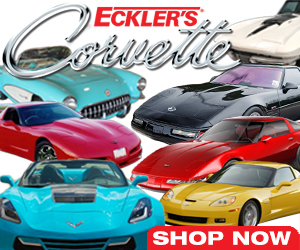 Simply click here to return to C7 Corvette Ask!. Search Our Site for Your Corvette Information Needs! © Copyright 2008-2018 Corvette-Web-Central.com LLC All Rights Reserved.